View all products by Split Tree Cocktail Co. 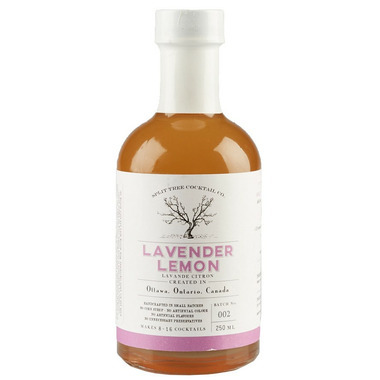 Created by combining freshly squeezed lemon juice, lavender flowers, and sugar to produce a truly authentic and natural cordial with the floral taste of lavender and a fresh lemon finish. This mix makes a refreshing soda and pairs beautifully with vodka, gin, and campari, aperol and chartreuse for a refreshing cocktail with an authentic craft taste. Each bottle will make 8-16 cocktails. 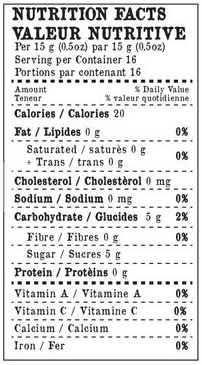 Ingredients: Water, sugar, lemon juice and lavender flowers. Great flavour- just a hint of lavender, so it's not overwhelming. Made me want to order two other flavours (which are also very, very nice). Great with water, or as a fancy cocktail mix. Love these cordials!